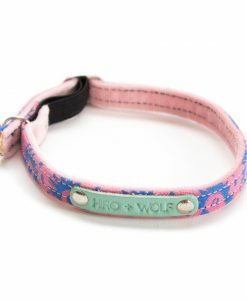 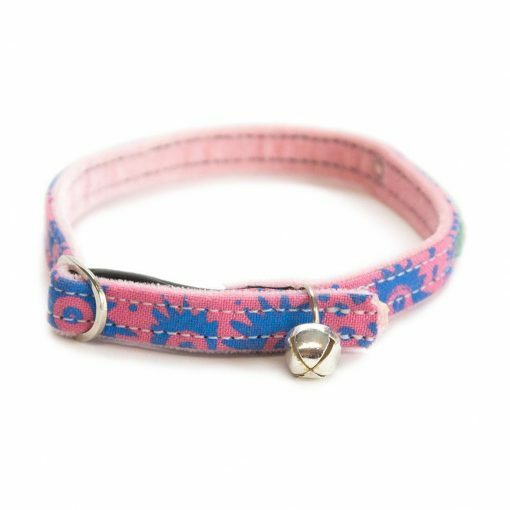 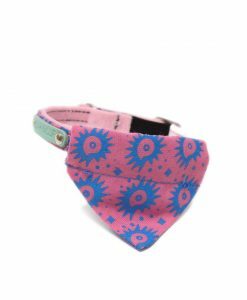 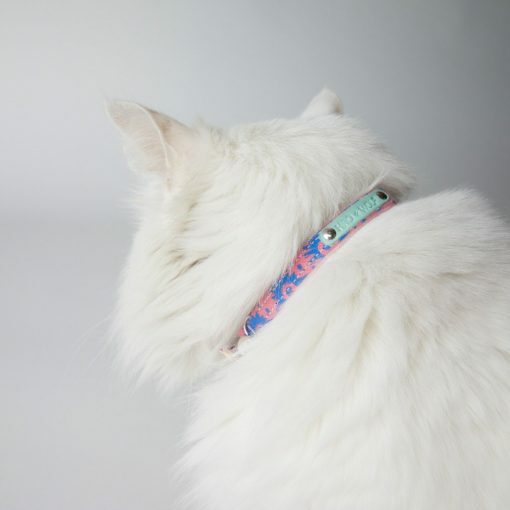 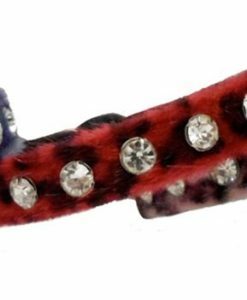 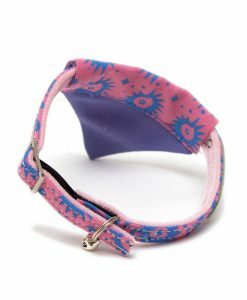 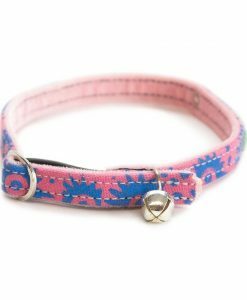 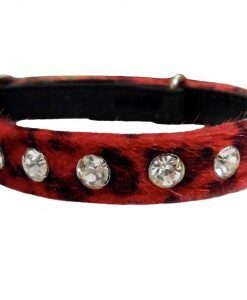 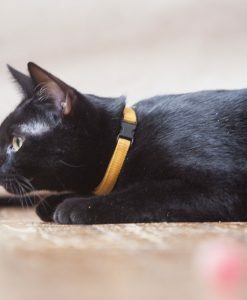 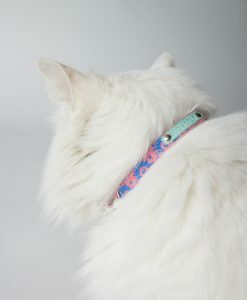 This Nebula cat collar is handmade in England using fabric that has been hand-screen printed by Bombolulu in Kenya, a long standing Fair Trade workshop creating sustainable livelihoods for people living with disabilities. 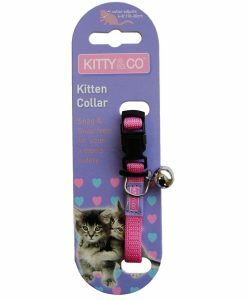 Lined with a soft velveteen and fitted with an elastic safety strip for cats that like to climb trees. 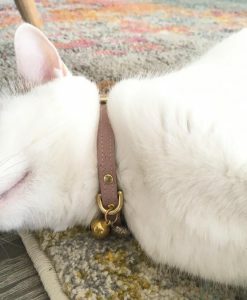 Easily adjustable to fit little kitties or big tomcats. 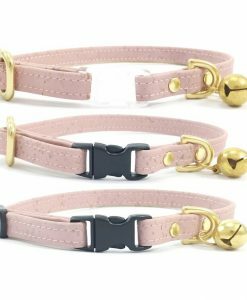 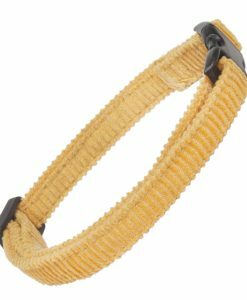 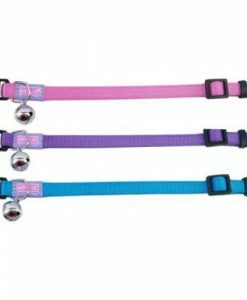 Each collar is fitted with a small silver coloured bell attached to a small D-Ring that can also be used to hang an ID tag from. 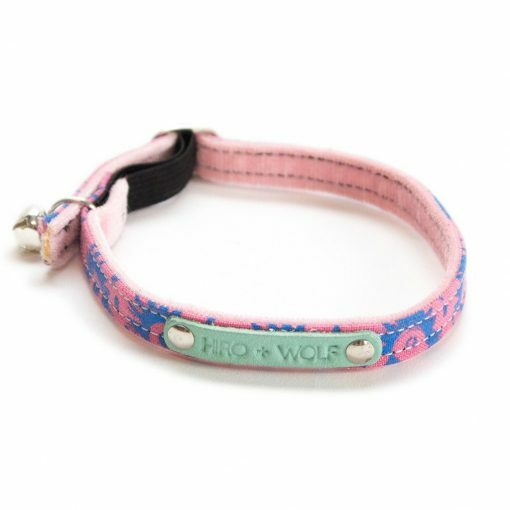 Made in the UK by Hiro + Wolf.